Adequate Capital is essential for running a business. This holds true even for law firms. It is important to understand the business to manage it properly. Law Firms and Lawyers make common mistakes which include incorrect calculation of the required amount of cash, getting the wrong type of financing or failing to estimate the actual borrowing amount. Hence, to avoid all these mistakes, some key considerations are recommended so that people analyze them before seeking finance. Need: Calculating whether the existing funds are adequate and finding a way to manage the firm with the existing funds effectively. If there is a true need for more working capital, only then external business funding should be sought. Nature of the Need: If there is a need for external financing, then one needs to go for the type of financing based on whether it is a planned strategy or an emergency. Risks: The risks should be calculated when requesting for a type of financing. Purpose: Most of the lenders will want to know the purpose for which the funds are used. Stage of the firm: Is the fund borrowed to manage everyday affairs or is it for expanding the firm? Business Plan: A business plan is very important as any lender would like to review it to ensure that the request is in sync with the business plan. Debt-to-Equity’s Ratio: It is the relation between the money borrowed and the money that is invested in business. The more the money invested in business, the more probability of obtaining external Finance. Attorneys and law firms must overcome many expenses while attempting to run a successful practice. While some expenses are visible and some are not, they are all necessary for the legal practice to grow. But when the business becomes slow unexpectedly for few months, how can a law firm survive through the tough times without dipping into one’s personal savings? It is possible. Our MCA (Merchant Cash Advance) program is the best solution to help your law firm get past the slow times or give a boost to grow the legal practice at a very fast pace. When bank loan take the time to get sanctioned and other alternative funding solutions fail to work, our BCA (Business Cash Advance) program is right here to help you during the critical times. The online application is simple and it will take only minutes to complete the form. The approval is done with 24 or 48 hours. High NSF (Non-Sufficient funds) and bad credit is not important. There is also no need to provide business plans or wait for long as in traditional banks. The technology revolution has given a new face to the law firms and law firms have started investing in technology to become more effective. Likewise, the services offered are also undergoing a lot of changes due to the clients who demand extra expertise in some crucial areas like industry-specific expertise, financial expertise, and much more. To proceed with all these changes, a cash reserve is needed by small business for long term and short term. There is a lot of consolidation happening in the market. Even big law firms have ceased their operations in the past few years. There are other law firms who are still struggling with financial difficulty. This is due to the rise in the cost and plummeting profits. Eventually, this leads to law firm failure. It is also difficult to get bank loans with bad credit. 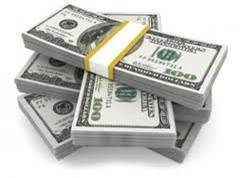 This is where the Bank Loan Alternatives like Business Cash Advance comes for help. Depending on the cash flow in the business bank account, law firms can sell projected future revenue and get instant funding from us. Though this funding is slightly on the expensive side, the financing is very quick and there will be no questions asked on your bad credit or profitability. If a law firm has already borrowed cash advance from a lender but still want additional financing for running or expanding the business, then they may be in a tough situation. In that case, they might want to search for a lender who is willing to lend and take the 2nd position. There are only a few lenders in the market who are ready to offer 2nd Position, 3rd Position, 4th and even 5th Position business cash advances. As the risk is more for lenders who put themselves in a position where they are left with nothing if the borrower defaults, the interest rates are higher than the first position cash advance. Our company offers 1st Position, 2nd Position, 3rd Position, 4th and 5th Position without any special conditions. If the law firm has been in business for a minimum of six months, we approve cash advance for those in need.